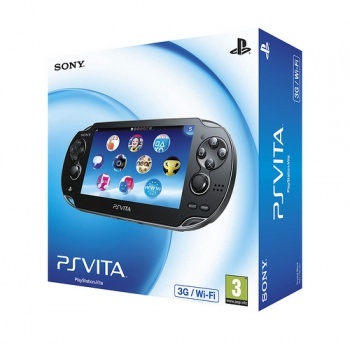 The PS Vita doubled first week sales of the PSP, but fell short of the debut of Nintendo's 3DS. Japanese language gaming magazine Famitsu reported that Sony sold 321,407 PS Vitas the first two days the handheld was available. Sony didn't report the total number it shipped to stores - or a percentage from which we could figure it out - except to say that 500,000 units of the 3G/Wi-Fi model with 100 hours of free 3G access. Sony hopes to sell out of that limited edition pretty quick. Japan's handheld market is a bit hard to predict. Nintendo's fancy 3DS wowed everyone at E3 2010 and sold pretty dang well in its first two days in early 2011 - 371,326 units to be exact - but customers complained of a lack of decent launch titles. Nintendo slashed the 3DS price to compensate for lagging sales and the CEO even cut his salary in apology. The PS Vita, on the other hand, has fantastic launch titles including Uncharted: Golden Abyss but Sony's new handheld just didn't beat Nintendo's debut numbers. During the holidays, no less. At least, the PS Vita sold better than the PSP did, which only moved 166,074 units in its first day back in 2004. Given the feature set and the launch games, the PS Vita should end up doing pretty well and eventually competing pretty heavily with the 3DS. I expect worldwide sales to blow up when the Vita comes out on February 22, 2012 for everyone outside of Japan.